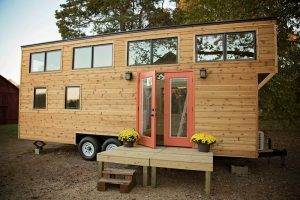 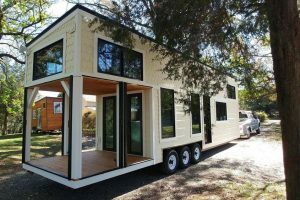 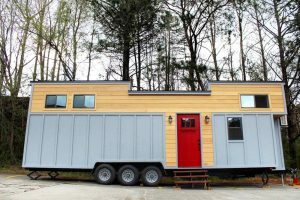 Everett is a gorgeous tiny house built by American Tiny House. 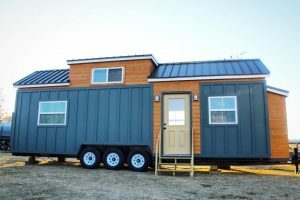 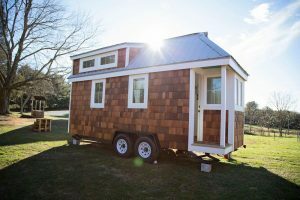 The tiny house includes a two tier metal roof and full light French doors. 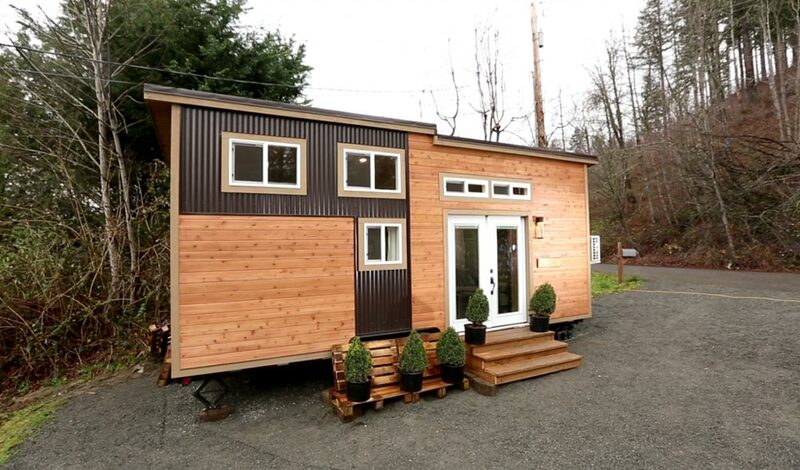 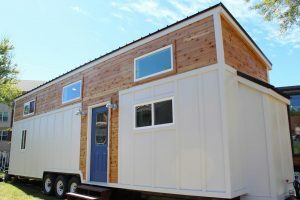 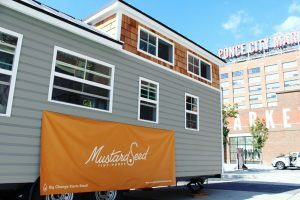 The 288-square-foot Everett has two lofts, one for the bedroom and one for storage. 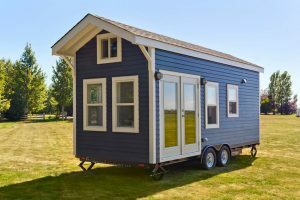 In the kitchen you can find beautiful custom cabinetry, butcher block counters, a freestanding range, and a full refrigerator. 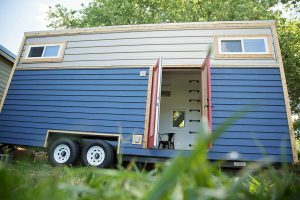 A barn door leads into the bathroom where you’ll find a tile shower, vanity, and composting toilet. 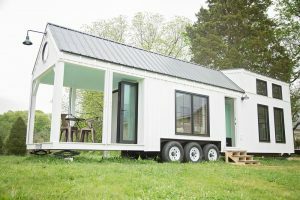 More tiny houses from American Tiny House: Houston, Golden.